What's the better game, a sequel that merely enhances ideas established in previous games, or one that goes in a completely new direction? Commenter DanimalCart is tired of people complaining about sequels that aren't just more of the same. Something has been bothering me in the wake of the release of both Max Payne 3 and Diablo 3 last week. I've noticed a consistent complaint in reviews from game journalists and gamers on this and other sites. What I am describing is something I am dubbing Nostalgia Blinders: complaining when a sequel deviates too heavily from the original source material. 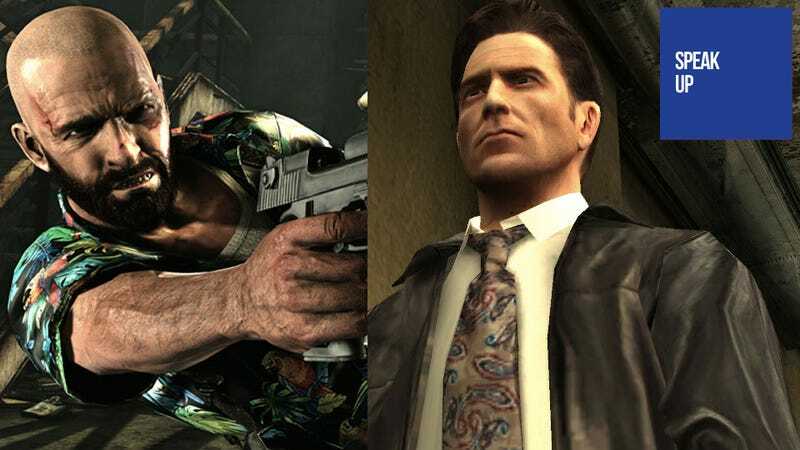 It seems many people have played through Max Payne 3 with Nostalgia Blinders on. People say that Rockstar didn't understand Remedy's old games, or that Max Payne should be set in New York, or that MP3 isn't as silly as its predecessors. One reviewer was upset that Rockstar didn't have any zaniness like Baseball Bat Boy in the game (Even though, Baseball Bat Boy is actually in the game). Or any number of complaints why game 1 is better than game 2 because game 2 doesn't have enough game 1 in it. If you don't like Max Payne 3 because you feel like Max Payne should be a comic book noire game set in New York with Max battling crime; guess what! They already made that game, it's called Max Payne. Or similarly, if Diablo 3 pisses you off because the art style is nothing like Diablo 2, then please, go play Diablo 2. I applaud when sequels go in a bold new direction, and Max Payne 3 and Diablo are both exceptional games. I don't want every sequel I play to be echoes of the same elements repackaged with different features (i.e. Modern Warfare 3, Assassin's Creed Revelations, Silent Hill Downpour, Prototype 2). This isn't to say that if a games sequel is too much like the original I still won't like it a la StarCraft 2, but I just hate when deviation is automatically a negative. I think different is good; it opens your minds people. Okay I am done, Thanks.